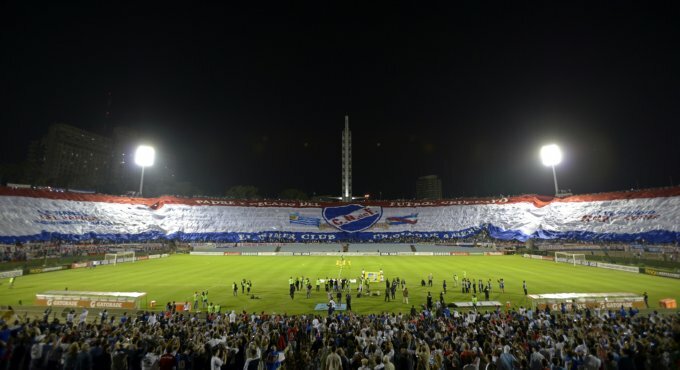 On Thursday, after nigh-on seven years of planning, fans of Uruguayan side Nacional finally realised their destiny and set a new world record for the biggest flag ever unfurled at a sporting event when they broke out an absolute monster during their Copa Libertadores tie against Mexican club Toluca. The Nacional flag was exactly 600 metres (656 yards) in length and 50 metres (54 yards) high, with the white, red and blue banner swamping almost three quarters of the club’s 25,000-capacity Parque Central stadium in Montevideo. According to the Nacional supporters website, over 5,000 fans assisted in making the flag – which was first mooted in 2006 and took over a year and a half to make and print – a reality, with the club also contributing toward the cost. Nacional then went on to beat Toluca 4-0 so ‘win, win’! Take that, Chelsea, with your plastic flags! Nacional they play their Copa Libertadores games at the Centenario, not their usual Parque Central. I was somewhere under the flag last night btw. 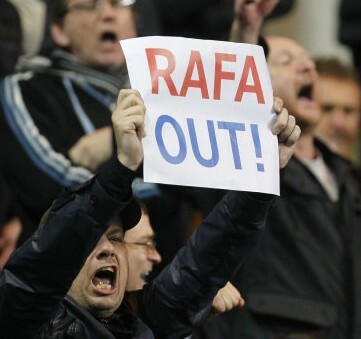 i wonder how much wembley would have charged to allow that banner into the stadium! A little correction, it was in the Estadio Centenario (centennial stadium) wich has capacity for 50.000 people. Hmmmm… not really a flag though is it? You can’t put it on a stick and wave it like a piece of A4 paper, also makes it impossible to view the game. Back to the drawing board. The flag is LOW 2 min and RISES! NACIONAL NACIONAL!! Sorry Bostero,but you are wrong.The Millonarios´flag is 600 wide by 40 meters hight,and this one is 600 meters wide by 50 meters hight…24000 m2 against 30000 m2.